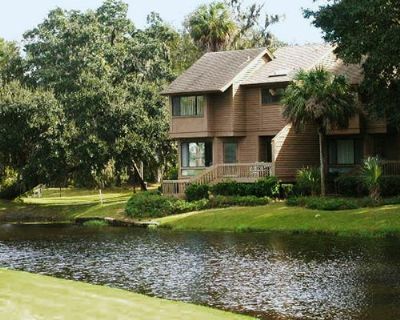 Spinnaker at Shipyard is right between the sixth and seventh fairways of the Galleon Golf Course in Shipyard Plantation on Hilton Head Island. 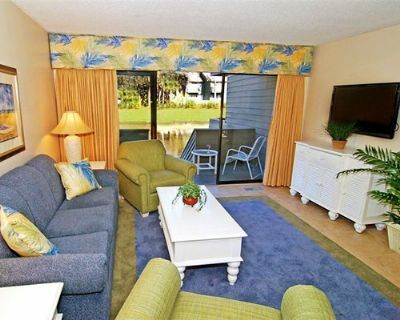 Its two-bedroom timeshare townhomes make for a perfect getaway just a short walk from the beach and it has won the RCI “Gold Crown” award for quality and service nine times. 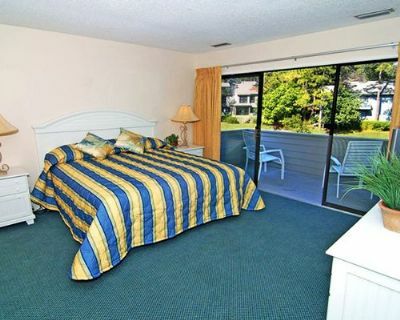 Each two bedroom, 2.5-bathroom timeshare for sale is fully furnished and ready for you and the entire family. The open floor plan makes it easy to set up from the full kitchen to the spacious dining room, which seats six, for a relaxing, family dining atmosphere. Master bathrooms come with a jetted tub while the second bathroom has a regular tub perfect for the kids. Entertainment abounds, from the TV and entertainment center in the living room to extra TVs in both bedrooms, so there will not be constant disputes over what to watch. Wireless internet is provided. Across the resort, you will find lots to keep you entertained. 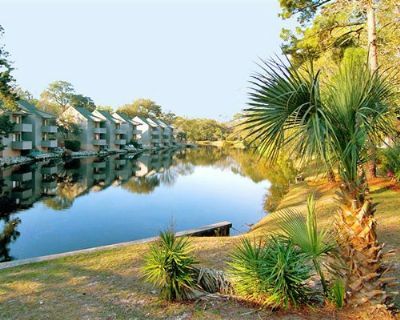 Spinnaker at Shipyard is one of the most popular destinations on Hilton Head, and it has earned that reputation with its multiple on-site activities including tennis, swimming pools, playground for the kids, and quick access to golfing, fishing, boating, and nightlife. The island itself is full of fun activities to try. You can explore the varied trails and beaches from the two bicycles provided with each timeshare, and take in the sights at a more leisurely pace by walking through twelve miles of trails filled with wildlife, waves, and the marina. Spinnaker at Shipyard offers plenty of opportunities for those whose interests run more indoors. Shopping centers feature many one of a kind businesses, art galleries, antique stores, and souvenirs; dining and nightlife is also a must-see feature, with live music, entertainment, and fine dining available all across the town. 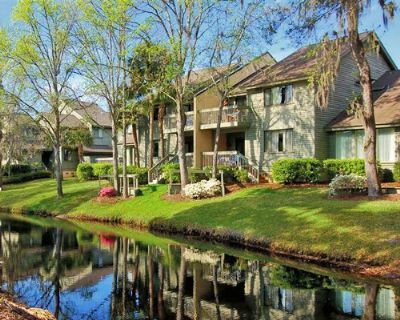 Buying one of these Hilton Head timeshares for sale are a great option whether you have an entire family tagging along or just want a peaceful couples retreat with friends. Between the outdoor and the indoor activities, you will always be eager to start your new day. Contact Spinnaker at Shipyard Specialist Today! We loved this location. 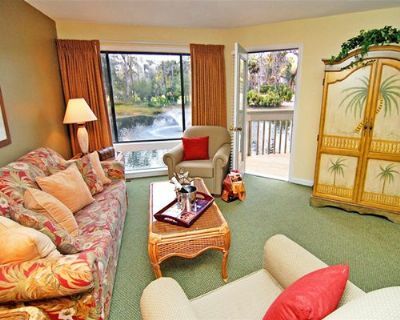 You can bike or walk to the beach in minutes. the bikes are provided. This is a floating week so you can pick the ideal time of the year to be there. We like the spring or fall when it's not too hot or cool. This could be March till June or September through November. With the cool ocean breezes it's not bad in the summer either. 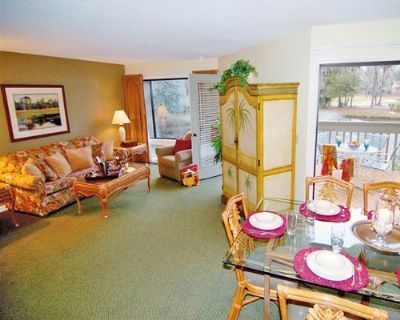 We like the condos for convenience. Park close to the condo and bikes near the steps in a small garage. Pool across the street and close to the golf course. A short drive to all the nice restaurants and shopping. We had two of these weeks and are selling one because we don't have the time for two weeks. 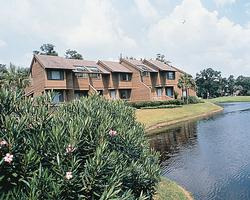 But it was fun to bring the kids and grand kids to one of the great resorts in America.